Eddie Hearn is hoping that heavyweight Tyson Fury will be making a comeback in 2018 so that he can fight 2 of his heavyweights in his Matchroom Stable in Tony Bellew and Anthony Joshua. The fight between Fury and Bellew would come after the Bellew-Haye 2 rematch if David can make it through training camp for early 2018. If Fury beats Bellew, then he would face Joshua later in 2018. Fury vs. Bellew is a business type of fight rather than a sporting event. Bellew is too small and inexperienced at heavyweight to be little more than a tune-up level opponent for Fury. It’s a fight that would play well in the UK, Bellew vs. Fury, but it would attract much less interest elsewhere. Bellew isn’t well known in the U.S, and he’s mainly just a guy that briefly held the WBC cruiserweight title and then gave it up after he pretty much dodged his mandatory challenger Mairis Briedis. Bellew did beat Haye, but he was aided by an injury that the Hayemaker suffered. Bellew obviously isn’t going to beat Fury. That’s not even worth discussion. Bellew is just going to be a tune-up fight for Fury, and that’s it. If Joshua’s promoter Eddie Hearn really believed that Bellew had any chance of beating Fury, he would make sure he scheduled that fight AFTER the Fury-Joshua fight. Hearn isn’t crazy. Hearn isn’t going to let Fury get beaten by any of his Matchroom Sport stable fighters until after Joshua has had his crack at him. 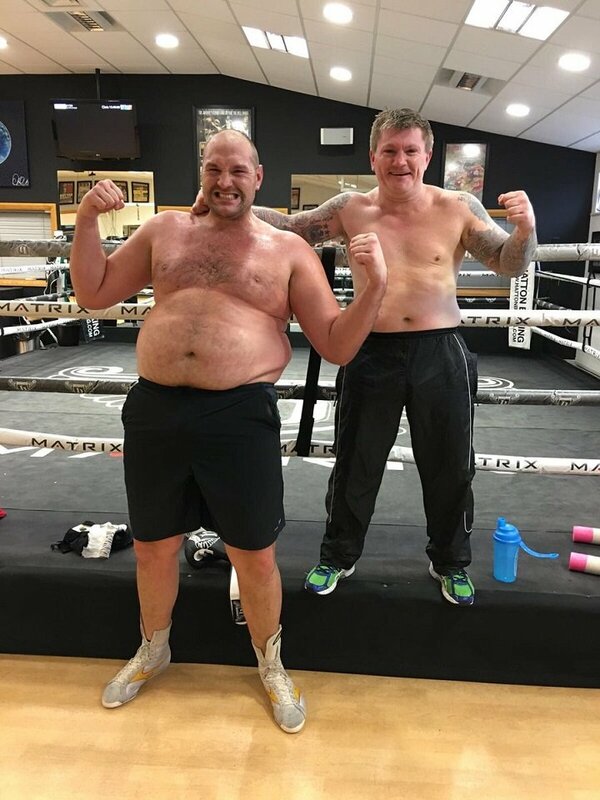 Hearn clearly knows that Bellew has no chance of beating Fury, even an out of shape Fury. For boxing fans, it would be better to see Fury challenge WBA heavyweight champion Manuel Charr, WBO champion Joseph Parker or WBC heavyweight champion Deontay Wilder rather than facing Tony Bellew. At least by fighting a world champion, Fury would pick up a heavyweight title, and the fight would be seen as more legitimate one than watching him beat up on a cruiserweight like Bellew. Fury would get a fight against Wilder, Charr or Parker quite easily. Those guys wouldn’t turn down a fight against Fury. Previous boxing news: Does Gennady Golovkin still have to go up in weight in order to become a truly great fighter?